Since 1995, Enterprise Events Group (EEG) has done one thing exceptionally well: provide full-service, world-class global event management to Fortune 500 clients. We have the infrastructure, experience and technology of the large companies—with the high-touch, flexible approach of a small one. Our commitment to excellence has been recognized in the business press with numerous awards, including the prestigious CMI 25 list (8 years in a row!) as one of the largest and most influential full-service meeting and incentive travel management companies, and we are rated as one of the Top 50 Event Companies by Special Events magazine. Our clients come back to us year after year, not only because of the quality of our event execution and its impact on their attendees, but what it was like along the way before the opening ceremony. 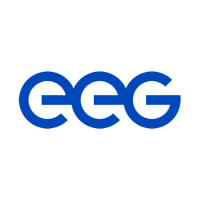 From board of directors meetings for 10, to conferences for 20,000 participants, EEG can develop the perfect custom-tailored event anywhere your business needs to be. We also continue to break technological barriers with our proprietary EEG360 Event Management software and the personalized registration and program infrastructure that it brings to each of our clients’ events. With more than 100 employees, we bring more than 1,000 years of combined experience in event planning to every client event we work on. Our staff’s deep industry knowledge and dedication are vital factors in our company’s success, and they are key ingredients in the “secret sauce” that distinguishes EEG. At Enterprise Events Group, we place an emphasis on excellence, not only on the services we provide, but also on the quality of people who work for us. As a leading event management company, with a sound base of Fortune 500 companies, we recognize that our success is dependent on our employees—they are the cornerstones of our company. If we surround ourselves with extraordinary people, we will most definitely achieve amazing results both as a team and for our client.